The WITNESS Media Lab is one of a growing number of projects by news and advocacy organizations focused on the curation of eyewitness footage to add context and meaning to what citizens document and share online. Below are other examples. 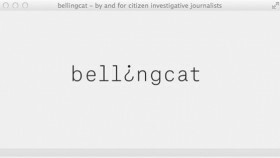 Elliot Higgins’ most recent project is a collaborative platform focusing on the verification and analysis of citizen footage. The focus is conflict situations, including Syria and Ukraine, and it uses innovative and collaborative processes to verify footage and tell stories, explaining along the way the tools used. 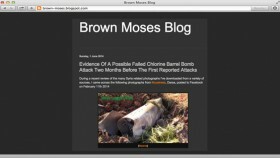 Blog of weapons expert Eliot Higgins, focused on curation and analysis of Syrian citizen videos. Curation of footage, photos, contextualizing data and reports on protest movements around the world. 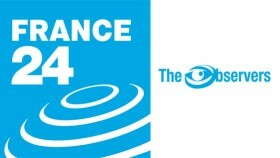 An online program from France24 contextualizing citizen reports from around the world. 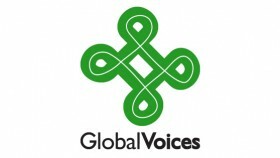 Worldwide network of over 800 bloggers offering context and reports from the ground in over 30 languages. Many of their articles include or are based on citizen videos. 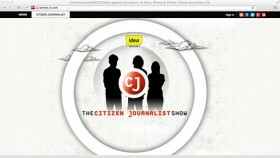 CNN-affiliated program in India that solicits and curates reports from citizen journalists. A resource compiling different interactive mapping platforms and examples of their use for human rights. 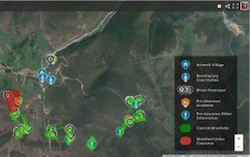 An open-source tool for participatory mapping and data visualization in conflict monitoring. An interactive documentary mapping video footage from the Israeli human rights organization, B’tselem, which works with Palestinian citizen journalists living in Gaza and the West Bank. Read our interview on Points of View on the WITNESS Blog. Trains citizen journalists from marginalized communities around the world and curates their work. 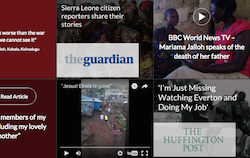 See, for example, its special project covering ebola in Sierra Leone. 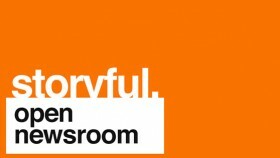 Google+ Community managed by Storyful’s newsroom dedicated to collaborative verification and analysis of citizen reports of breaking news stories. This New York Times project curated and contextualized Syrian citizen videos documenting the war until May 2014. Click here for a q&a between WITNESS’ Madeleine Bair and Watching Syria’s editor, Liam Stack. This WITNESS guide cover the principles of human rights documentation, and discusses how those principles can be used to assess and minimize the various risks involved in sharing online videos of abuse. Also available in Spanish and Ukrainian. More ideas from the Media Lab can be found on the WITNESS Blog. 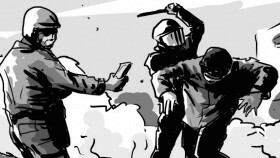 Visit the WITNESS Library for free resources for video activists, journalists and their allies.